Case Studies | Systems Integration, Inc. The U.S. 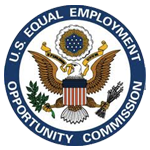 Equal Employment Opportunity Commission (EEOC) customer contact center is staffed by approximately 61 EEOC employees located across 15 localized field offices throughout the country, creating a single “virtual” unit which responds to emails and answers calls coming from their nationwide toll-free number. The unit comprises of managers, supervisors, quality control and two levels of agents, with Tier I handling all frontline incoming calls and Tier II handling all escalation, emails and specialized transactions. The EEOC wanted to move their call answering functions from a contractor operated function to an in-house customer contact center, and required hosted (cloud-based) telephony services. The technology had to allow EEOC to effectively and efficiently answer calls (English, Spanish, and Interpreter 3rd Party Relay) and emails from the public, monitor the quality of services and report on all aspects of system and agent usage, as well as allow for accurately tracking of trends and demographics. Based on SII’s “Assured Availability Architecture”, configured with redundant components in a “Fail-Over and N+ Configuration”. SII designed and is still providing a turnkey hosted Genesys PureConnect solution that is fully compliant with the strategic objectives and functional requirements for the EEOC contact center and capable of handling at a minimum 60,000 monthly IVR hits, 40,000 monthly inbound transferred to agent phone and 500 monthly outbound/callbacks. SII successfully implemented the Call Processing and Management System (CPMS) within 120 days from the original contract award in 2008, managed the contract through 2014 and won the re-compete, which shows our ability to be a long term partner to our customers as well as proof of our professional project management, technical competency, highly personalized and attentive service. SII operates and maintains the ACD, IVR and computer telephony integration (CTI) software that performs the call routing functions, including automated collection of demographic information, screen pops, and reverse number lookup and populating EEOC office workstation screens. SII provides an IVR, available 24 hours a day, to provide callers with information about the EEOC. SII coordinated with EEOC technical staff and third party system providers to install the digital T-1’s and to implement a network interface to the EEOC’s RightNow CRM application for use by EEOC employees in the field offices to perform their customer response function. SII help desk staff monitors the Genesys infrastructure and coordinates with EEOC staff and the telecommunications vendor to troubleshoot and resolve routing and other technical issues and problems. SII help desk staff maintain a trouble ticketing system to track and report on issues, problems and resolutions. SII provides train-the-trainer sessions for EEOC employees in the use of the new system, and training to system administrators for moves, adds, and changes (MACs) as well as reporting related functions. SII assigned a Program Manager (PM) to oversee the contract. The PM developed and managed adherence to the implementation plan and assumed all responsibility for interface with the interexchange carrier, other providers, consultants, and EEOC personnel, and is the coordinator of all project status meetings. Microsoft Office Project software is utilized to document the numerous tasks required and to track the project schedule. The SII and EEOC teams coordinated the installations from both locations with no delay and completed the tasks in a timely fashion to the satisfaction of the customer. The EEOC minimized its capital investment and technical support requirements by outsourcing the contact center infrastructure, technical support, and maintenance to SII.SII was awarded the re-compete to support the EEOC for the next 5 years. 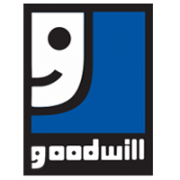 Goodwill of North Florida, a diversified human service organization, self-funded by its network of retail stores and other revenue generating ventures, one of which is a major national media group, that specializes in direct marketing for businesses in the US, Canada, Mexico, and Puerto Rico. The company focuses on door-to-door delivery of promotional products to homes, apartments, and businesses in North America. This customer has the ability to target its marketing efforts to the neighborhood level, delivering marketing and other promotional related materials to households and businesses based on specific demographic information. The challenge was for the customer to distribute over 3 million door hanger advertisement articles and phonebooks. These door hangers and phonebooks were distributed to multi-route regions within four weeks by the media group couriers. While the actual delivery was 7 days a week, the validation of successful delivered articles was required to be done within a window of forty eight hours after the drops for each route. Validation was done by conducting an automated survey through telephone calls. 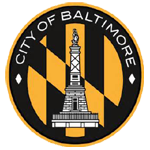 The phone calls were to be done 8:00 AM to 8:00 PM for residential customers, and 9:00 AM to 5:00 PM for business customers adjusted for the regional local time zones. The validation process for these delivered articles would be started immediately after the completion of each delivery route. The results needed to be captured and reported within two days of receiving the list of phone numbers and right after the conclusion of the survey for each region. Goodwill of North Florida needed to verify the successful delivery of these items for both residential and business customers of this major national media group so selected SII to utilize its Outbound Notification System (ONS) application to enhance and modernize their existing operation, and expand their outbound call handling bandwidth on a much larger scale. This application was developed by SII to manage notifications, though it can also simply dispatch a message to a pre-selected group of people. ONS can also provide automated surveys to customers and collect results in a database for future reference. As the project began, the Goodwill of North Florida provided SII the list of phone numbers for those regions which had completed the drops. The list was provided in a database. SII uploaded the numbers to the ONS system, and utilizing dedicated PRI phone lines, dialed the numbers, played back the initial greetings, conducted the surveys, collected the results and posted the results back to the same database. Once ONS completed the required percentage of data collection for validation of successful deliveries from each region, a custom management report was generated by the system for the Goodwill of North Florida management review. The management report contained milestones, indicating the project progress and successful completion of each route. Also, the same database table, with additional customized fields populated from detailed call results of ONS, was transferred to the Goodwill of North Florida according to the required specifications. During the processing time, if for any reason the system did not reach the required percentage of successful results, the ONS dynamically placed the same batch in front of the next day queue for reprocessing. The ONS dashboard allowed SII support to monitor the number of placed calls and line traffic in real time. During a spike in volume of numbers to be dialed, SII increased the number of PRI lines dynamically to process a substantial batch of outbound numbers, and completed the project within the set schedule. 100% accurate, scalable and flexible solution, with consistent and reliable results, and big savings for the customer. 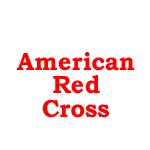 The American Red Cross (ARC)’s Biomedical Services collects 40 percent of the blood supply (6.5 million units of blood and 9 million blood products for transfusion) in the United States and distributes to some 3,000 hospitals and transfusion centers. They operate multiple call centers handling approximately 42 million inbound and outbound calls per year setting appointments for 4 million donors nationwide. American Red Cross’ vision is to automate, standardize, modernize and consolidate their regionally based call centers. The independently managed, regional call centers represented multiple databases, and various dialer systems. The challenge was to integrating legacy systems and next generation systems into one single platform in a hosted environment in the most efficient and cost effective way possible. A complete customized Genesys PureConnect solution – fully hosted, two Tier 4 data centers – including switchover capability for disaster recovery via private SIP-based MPLS networks, custom interfaces to the legacy and next generating Oracle Siebel CRM while supporting the migration to a “One Red Cross” business organization. SII procured, designed, installed, and is operating, hosting, supporting, and maintaining a Genesy PureConnect infrastructure that performs automated outbound dialing to blood donors across the U.S., receives inbound calls from the ARC’s toll-free number, and distributes the calls to approximately 1,000 Tele-recruiters in 3 ARC contact centers based on the donor’s geographic location and assigned ARC Division/Region. Fully integrated the ARC Dialer infrastructure into the ARC LAN, WAN, desktop computer, and business application environments, including interfaces to the ARC’s Cisco Call Manager to route Voice over IP (VoIP) calls using industry standard Session Initiation Protocol (SIP) to the Tele-Recruiting (TR) agent’s existing Cisco IP phones, and interfaces to ARC’s legacy and next generation applications for TR agents to capture customer interaction data in the ARC’s enterprise CRM databases. Implemented the ARC Dialer Infrastructure in a dedicated Software as a Service (SaaS) model, which has allowed the ARC to minimize its capital costs and technical support requirements while maximizing its technical control, system performance, and system security. The ARC Dialer Infrastructure has lower security risks because all ARC business programs, although treated as separate companies using virtualization technology, are in fact part of the same company and there is no risk of another company accessing ARC data. Developed custom integrations to the legacy CRM application and the next generation Oracle Siebel CRM application, which has allowed the ARC to better manage, schedule, and limit the business and technical risks while transitioning ARC blood donor regions across the country into consolidated call centers. Developed custom handlers to Oracle update the database in real-time with call data and wrap-up codes from Interaction Dialer, which has provided the ARC with valuable customer and marketing intelligence. Implemented skills based routing to significantly reduce the number of campaigns, which has resulted in greatly improved agent productivity because agents no longer have to transition between campaigns. Telecommunications vendor to design, install, operate, support and maintain the VoIP/SIP network including the DS3, Fast Ethernet, and SIP trunks that interconnects the ARC call center sites to the Tier 4 rated data centers (where the Genesys software is installed on HP blade servers) to the Public Switched Telephone Network (PSTN). Genesys and Oracle to install a CTI interface to the ARC’s Oracle Siebel CRM application to screen pop the donor’s record to the Tele-recruiter desktop computer. Monitors the dialer network and coordinates with ARC personnel, telecommunications vendor, and third party system/service providers to troubleshoot and resolve routing and other technical issues and problems. Maintains a trouble ticketing system to track and report on issues, problems, and resolutions. Provides technical support to ARC from 7:00 am to 12:00 am, 7 days per week. SII conducts weekly/bi-weekly conference calls with ARC to review outstanding issues and problems, as well as monthly reviews with ARC to review contract performance. SII provided train-the-trainer sessions for ARC employees in the use of the new system. Dialer makes over 300 million calls a year which improved agent productivity by approximately 40%. Reduced number of campaigns from 3000 to less than 400. Improved customer and marketing intelligence. Reduced the risk of transitioning to the new Dialer environment. Significant challenges in integration with legacy systems had to be overcome on a tight schedule and budget. SII, working with ARC, and Genesys stepped up to the plate beating every deadline. The American Red Cross (ARC) is awarded Genesys’ Innovator Award at the 2012 Customers and Partners Conference. SII advocated for ARC to receive this award based on the innovative work ARC and SII is doing on the Dialer Platform. “Wow! Quite a night! Great job finding and resolving a late-breaking yet highly impactful InTouch issue from late yesterday that would have slammed the call centers today! I know you all know and appreciate the business impact and take your support of the mission seriously, but still – you all have blown me away on this!